With snowy weather comes many opportunities for recreation, but sometimes that recreation turns into something very different. The Office of the Coroner for Madison County in Edwardsville, Ill. reported the death of 41-year-old Kelly J. Strohmeler this morning. Strohmeler died after the snowmobile she was riding in a snow-covered farm field struck a rut in the field and ejected her. Strohmeler was with three other people out snowmobiling recreationally during the evening of Jan. 20. 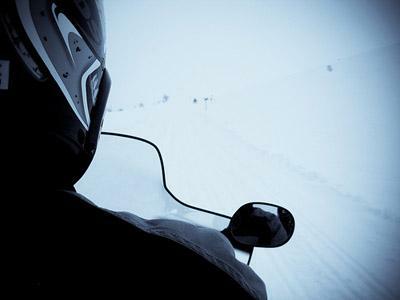 She was wearing her helmet and using her head lamp when the accident occurred, and had no passengers on the snowmobile, according to the Coroner's release. Routine toxicology testing for the presence of alcohol or drugs will be performed. According to the release, funeral arrangements are pending at this time but are under the direction of Weber & Rodney Funeral Home in Edwardsville.